If you are the type of tourist who loves to observe antiques and relics in museums, and if you are simply fond of expanding your knowledge, then the Kuwait Scientific Center is the place for you. Who said that you should just let your mind go idle during holidays? This gallery will surely tickle your curiosity, and it is equipped with several divisions that will appeal to tourists of all ages. It possesses bits and pieces about the history of the country, and it has rooms built specifically to show off the resources, which the Mediterranean is rich in. One day spent in this place will give you a lifetime of information and a newfound fondness for this Middle Eastern state. 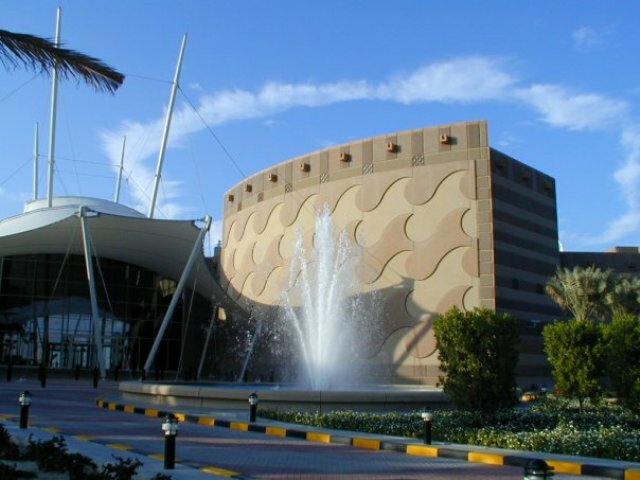 The Kuwait Scientific Center is located in the region of Salmiya, in front of the Ras Al Ardh, which currently serves as an environmental awareness complex that is concerned about the status of the gulf districts. The establishment’s existence is contributed by the former Sheikh Jaber Al-Ahmad Al-Jaber Al-Saber, who also once lived in today’s National Museum. In terms of its site, the building covers 18,000 square meters, while its area space extends up to 80,000 square meters. One of the most popular attractions inside this building is its massive aquarium, which is said to be the biggest tank in the whole of the Mediterranean. It is a generous gift from the country’s Foundation for the Advancement of the Sciences. Children will soon crave for more marine knowledge with a quick trip into this man-made water structure. Aside from being a learning complex, the Kuwait Scientific Center is also a leading facility in environmental awareness in the entire Arabian Gulf districts. Not only will vacationers get the chance to explore the country’s marine resources, but they are provided with glimpses of the Arabian Peninsula desert plains, more underwater passages that house water species, and animal habitats along the coastlines. If you’re the type of tourist who’d rather watch documentaries rather than endure hours of long walks and standing, then you will be glad to know that the center is equipped with an IMAX theatre, which can accommodate 250 people. In here, the management allows you to enjoy any movie, provided that it is acceptable for all age groups. Show harbors that illustrate the sailing routes from Kuwait to the Arabian Gulf are always screened. Of course, for vacations who love purchasing souvenirs, the Kuwait Scientific Center is never without gift shops. There are plenty of outlets to choose from, assuring you that you don’t have to endure long lines, product shortages, and overcrowding just to get a small token. Popular restaurants like Pizza Hut and Burger King are also present outside the complex, so that you don’t have to go too far to get a decent meal. Since your comfort is a priority, benches and tables are littered around the establishment. If you’ve brought your camera with you, there are stunning structures and plants outside the scientific center that will definitely ease your mind a lot more.